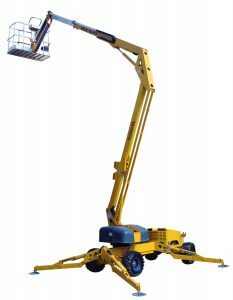 The Haulotte 45XA Drivable Man Lift is a safe, economical, and easy way for homeowners and contractors to complete those jobs that are just out of reach. 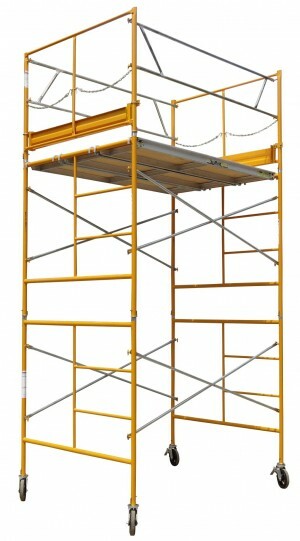 *Transporting this man lift requires an equipment trailer or we offer delivery and pickup. 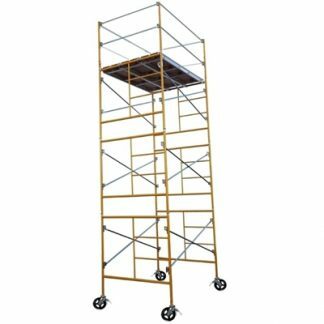 This man lift was designed to be quick, practical, and user-friendly as it affords safe access up to a working height of 51 feet. 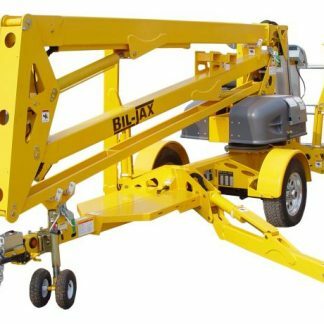 The platform and ground controls have an easy-to-understand display panel and the hydraulic outriggers and automatic leveling allow operation in under 30 seconds. The Haulotte’s high-performance 4WD and light weight mean that users are able to access the places that larger and heavier machines cannot go. 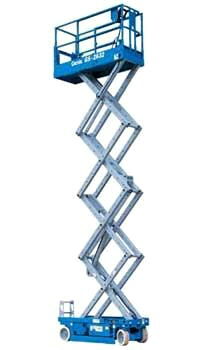 It has a dual power source (DC / gas), which makes it ideal for indoor and outdoor use. 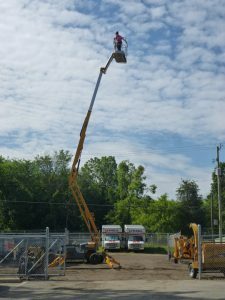 This drivable man lift is easily transported on a trailer, and Ward’s Rental offers economical rates for both trailer rentals and delivery /pickup.